INFINITE’s Nam Woo-Hyun takes his first win as a soloist! 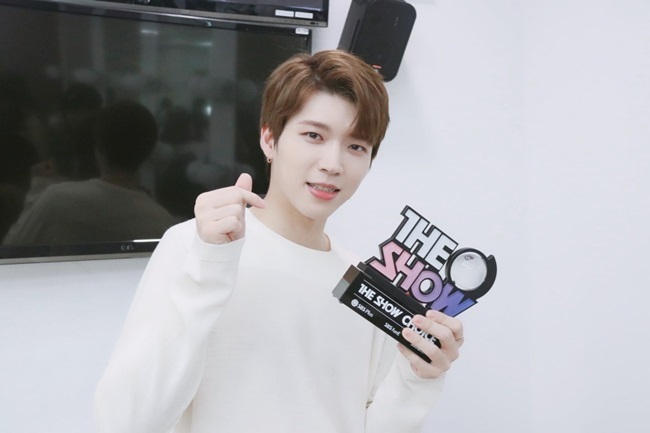 On September 11 broadcast of SBS “The Show,” Infinite member Nam Woo-Hyun took his first-ever win as a soloist. Immediately after performing his comeback stage with “If Only You are Fine,” the singer took his first trophy and thanked his co-workers and fans. Afterwards, the singer delivered the rest of his winning speech through his agency, and thanked those he didn’t get a chance to during the show. Through this win, Nam was able to solidify his presence as not only an Infinite member, but as a soloist. Moreover, this win was especially meaningful since he had self-produced the song.